Childrens Gummies, Complete Vitamin and Mineral-90 Ct.
Are your kids getting all the nutrients they need? It's a common question mothers ask themselves. In this crazy, fast-paced world, there isn't always time to make healthy home-cooked meals. And even if you do, your little ones may turn up their noses to the healthy foods that are good for them. And with everything else you have to do in a day who can blame you for taking advantage of the drive-through every now and then? Your kids have got to eat, right? Thank goodness that vitamin companies realized that children need daily vitamins and minerals too and started producing kid's chewable vitamins. 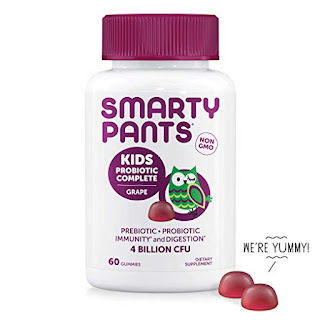 Kids gummies have been a godsend to parents who want their kids to have the nutritional advantage they need to grow up strong and healthy. 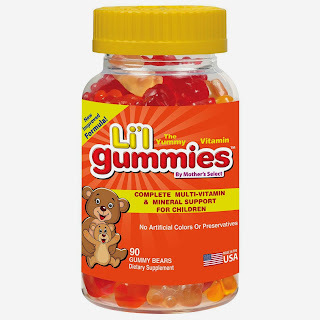 But are your gummies yummy? 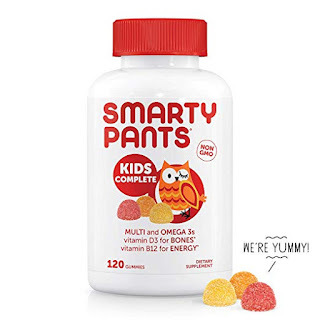 SmartyPants Toddler Daily Gummy Vitamins 90 Ct. 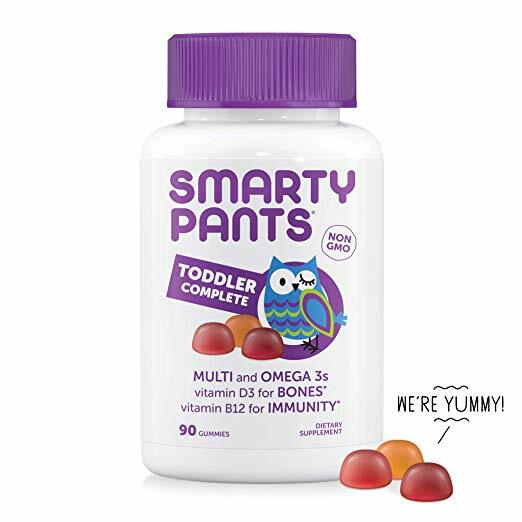 This chewable vitamin contains 14 essential nutrients for toddlers including omega-3 DHA & EPA, vitamin D as D3 for bones and vitamin B12 (methycobalamin) for immunity. No refrigeration required and free of synthetic colors/flavors. Immune and Bone Support*: Zinc and vitamins C, D3, and B12 to help support the immune system. Vitamin D3 and zinc also help support strong bones and teeth. We include iodine which plays a major role in your child's metabolism and development and vitamin E, an antioxidant for the maintenance of good health. Non-GMO and free of milk, eggs, peanuts, tree nut allergens, fish allergens, shellfish, soy, gluten, and wheat. No synthetic colors, artificial flavors, or artificial sweeteners.